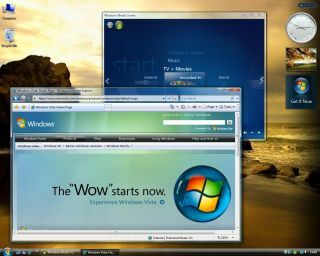 Security firm Kaspersky has slammed Microsoft's Windows Vista operating system as less secure than its predecessor, Windows XP. Natalya Kaspersky, the company's CEO, said the user account control (UAC) - the system of privileges that can restrict users' administrative rights - in Windows Vista is "so annoying" that users will disable it. Kaspersky added that disabling the UAC function will leave Windows Vista less secure than Windows XP SP2 . "There's a question mark if Windows Vista security has improved, or has really dropped down," she said at the CeBIT show in Hannover last week. Kaspersky supplies one of the scanning engines in Microsoft ForeFront , its business security product. Arno Edelmann, business security product manager for Microsoft , deemed Kaspersky's claims surprising. "We have a thriving community of partners, and Kaspersky is one of our best partners," he said. "I find their statements a little strange because they have one of the best insights into Microsoft security products," Edelmann added. Microsoft has long touted Windows Vista as its most secure operating system. However, Kaspersky said that company analysts had found five ways of bypassing the UAC in Windows Vista, adding that malware writers will find more security holes.